Why do we really light Shabbos Candles? There are many correct answers, but there is a far deeper one…..
Jacob gives his sons his final two commands which they are to execute at the-end-of-days. The commands are: “Hikavtzu!” הִקָּבְצוּ “ASSEMBLE yourselves together!” and “V’shimu” וְשִׁמְעוּ “And LISTEN” to your father Israel.” The first command has the same gematria as the first 3 letters in the Torah (ברא) and the second one has the same gematria as the Hebrew word “seventy (70)” especially significant as the Zohar describes the final period as the 70 years from when Israel became a nation, Israel also being the final word in the Torah. Together, both commands representing the first and the last of the Torah and G-d’s Calendar , total 203 + 422 = 625, the numeric or energetic value of HaKeter (הכתר), the highest sefira (dimension) of the light-force and also the exact square root of the sum total of all the words, verses and letters in the Torah. In Chapter 50, verse 3 we learn that Israel was embalmed for 40 days and that Egypt mourned Jacob for 70 days for a total of 110 days. Then in the final verse of Genesis (50:26), Joseph dies at the age of 110 years. Just prior to that, at the end of Genesis, in paragraph 89 of the Torah, verse 49:22, nearing death, Jacob is explaining what will “happen to them at the-end-of-days,” and by extension as the sages have explained, to us, his descendants. It is the end of days. It is time to “assemble ourselves together” and to “LISTEN to our father Israel.” Though the physical sons of Joseph are hidden till the regathering at the-end-of-days, as the Rav said, our souls know who they (we) are, and we spiritually are the descendants of Joseph who are scaling the wall, the wall that separates Heaven and Earth. We explain below exactly what and where that wall is, but first we need to point out that the numerical value of the last two words in the Jacob’s blessing to his beloved son and to us, Alai (עלי) is 110 and Shur (שור) is 506, which together equal to 616, the numerical value of HaTorah (התורה), the Torah. Since this is prophecy regarding the end-of-days, our days, the period of 70 days of mourning is quite significant in that the letter Ayin of numerical value 70 when broken down into its component letters form the letters Vav (ו) and Nun sofit (ן). These two component letters together with their kolel have the numerical value of 708. When spelled out together (ויו and נון), they equal 778, alternatively the original Ayn (ע) and its component letters also equal 778. The three numbers (708, 70, and 778), all energy portals directly connected with the Hebrew letter Ayin respectively represent the Hebrew calendar years 5708, when Israel was restored as a modern nation, the 70 year period proscribed by the Zohar for the birth pangs of Moshiach and the death throes of Satan, and finally the year 5778, the year Rav Ashlag of blessed memory advised for the geula (final redemption) to begin. As we have been discussing for some time now, the value of 110 is that of Nes/נס (miracle), 506 is that of both Moshiach Ben David (the Messiah) and unconditional love/ chesed/חםד, and also of the first line of the lower 42-Letter Name of G-d (שקוצית). These connections are of extreme importance to us, because as Rav Brandwein of blessed memory pointed out, it is “the understanding and function of the 42-Letter Name that will bring us the Geula (Final Redemption).” Further, as we pointed out this past October, the only letters not transformed when the 42-Letter Name became the first 42 letters of the Torah were Shin, Vav and Resh (שור) likewise of numerical value 506. We are the descendants of Joseph who can scale the wall (שור). We are the ones destined to use the ancient and modern knowledge for the sake of humanity and Heaven. 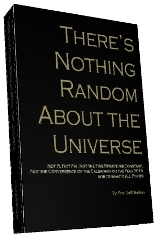 Many scientists now realize what the Kabbalists learned thousands of years ago, that there is a 10-dimensional structure to our greater universe, and that our universally accepted mathematics is base10 (based on the consecutive powers of 10) for a reason. The way the Tree-of-Life works is that each of the 10 sefirot (dimensions) are subdivided into 10 more sefirot, so that 10 becomes 100 and in turn 1000. These 10 major sefirot on each major level are not stacked one on top of each other, but are 2-dimensionally defined and divided into 3 columns of similar energies. 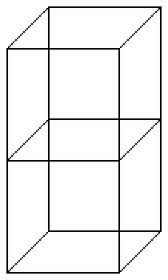 Viewing the 3 columns in 3-dimensions they appear as 2 stacked cubes seen on an angle. Either way, they have 22 pathways between them, corresponding to the 22 Hebrew Letters, or building blocks as Abraham, the Patriarch described them in the Sefer Yetzirah. 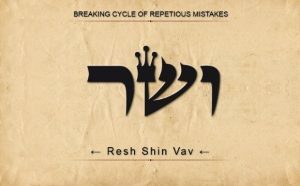 Those 3 isolated letters shared in the same position in the Torah and the 42-Letter Name are Resh (ר ), Shin (ש) and Vav (ו), the 8th 18th , and 40th letters of the Torah respectively. Their locations given a hint to their design and importance as (40 – 18) = 22 and (18 – 8) = 10, representing the 10 sefirot and the 22 pathways between them as described above. Moreover, their locations within the Torah matrix sum (8+18+40) to 66, which represents the 66 iterations of a 10% reduction or 1/10th each that is required to geometrically reduce the full and complete 1000 sefirot from 1000 to 1. It takes 22 iterations of 10% reductions each to reduce 1000 to 100, and another 22 to reduce 100 to 10 and yet another 22 to reduce 10 to 1. Altogether, these 66 iterations are the 3 full cycles of the 22 Hebrew letters, each of the power of 10, as in 103 or 10 x 10 x 10 = 1000 sefirot. The kabbalists were given this structure of the universe thousands of years ago, independent of any base 10 mathematics. This just happens to coincide perfectly with the recent discoveries by our physicists. Moreover, the 3 isolated letters that further coincide so beautifully were selected neither by the kabbalists nor by the scientists but by the integral design and programming of the Almighty. It might be redundant to call all this a “coincidence,” even if sarcastically; nonetheless, if we are to scale the wall we have to use these truths as handholds. They are notches carved in the wall for our benefit. The challenge is before us. We do not have to leap yet, but if we want to peek over the wall, we have to climb up first. The kabbalists tell us that the 66 iterations of (שור) that covered the complete 1000 Lights of the Tree-of-Life, connect us to the first letter of the Hebrew alphabet, the primordial Hebrew Letter Aleph (אלף). This is because the Hebrew number eleph (אלף), meaning 1000, is spelled identically. This is the Aleph (אלף), which like the 42-Letter Name of G-d, preceded Creation. Therefore when we add the Aleph (אלף), which is also Eleph (אלף), to the numerical value of the Torah’s very first verse (2701), we get 2701 + 1000 = 3701, which is the exact value of the entire Lower 42-Letter Name. Nevertheless, what this tells us is that this knowledge and the utilization of it are meant for OUR generation. It calls to us and tells us that we are the ones chosen to serve to extend the branches of “growing Israel” over the wall (שור), the boundary between Heaven and Earth, haShamayim V’et haARetz (השמים–ואת–הארץ), in that the product of the locations of the Resh (ר), Shin (ש ) and Vav (ו) yields 8 x 18 x 40 = 5760 and the Hebrew year 5760 is 2000 CE. There are 79 occurrences of the word Eleph (אלף), meaning 1000 in the Torah, reminiscent of the 79,976 words in the Torah so we can view the Aleph (אלף) as an overview, or surround cloud to the Torah, filled in by as the Rabbi Isaac Luria of blessed memory explains, “the explicit Name of G-d (Hashem Hameforah/השם–המפורש) of numerical value 976. HaShem Hameforash (השם–המפורש) is the inner-dimension or G-d’s presence revelation in our world. While noting it begins with the letters of Moshe (משה) and ends with Resh (ר), Shin (ש) and Vav (ו), the Arizal explains that it is numerically equivalent (976) to inner letters of the names of the Patriarchs that personify the 3 columns of the Tree-of-Life (Abraham, Isaac, Jacob and Israel) stripped of their initials and final letters. He further delineates how this inner essence 976 is equivalent to and derived from the spelled out fronts and backs of the 4 aspects of the Tetragrammaton (יהוה). Thus the Aleph (אלף) with the Tetragrammaton (יהוה) forms the inner and surrounding Light of the Torah as designed and delineated by its 79,976 words. Before the Torah, before the Bet (ב) of Bereshit, there was and still is the primordial letter Aleph (א), the first letter in the Hebrew alphabet. It does not bulkhead the Torah or begin it. It exists apart from it yet runs through every letter in it. The Aleph (א) breaks down into its component letters, an upper Yud (י) and Vav (ו) pair and a lower Yud (י) and Vav (ו) pair, or (י\\י). The Torah begins with the letter Beit “ in Beresheit (In the beginning) G-d created the heavens and the earth” and He created it with 10 utterances. These were issued again in the Ten Commandments, known to the Kabbalists as the “Ten Utterances.” In the same way, just as the Alef (א) precedes the Torah, the first letter in the Ten Commandments is also an Alef (א). 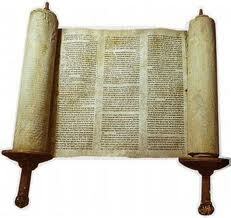 It is from between the extended central Vavs (ו––ו) that the Torah matrix sprung forth and filled our universe. We tend to think of the Torah as a document, but it is multi-dimensional and permeates every aspect and essence in our universe. Its multidimensional properties testify of its Divine Author. We actually have the ability to see the Torah and perceive its energetic letters in everything around us. Learning to do so and connecting to the primordial Aleph (א) will help awaken that power within us NOW. 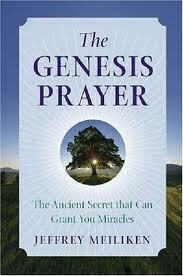 Because of our sins and our spiritual immaturity, it was blocked many generations ago. NOW by the Almighty’s boundless love (chesed / חםד), merciful permission is granted once again as we are so close to the gates of the Final Redemption. This is part of what was “to happen” to the sons of Israel at the-end-of-days. That time has arrived, and our perception is being awakened. Together the 4 component letters represent the 4 phases of the Tzimtzum that occurred before Creation and their collective numerical value is 32, as in the 32 Paths of Wisdom that comprise the Tree-of-Life. When each pair is spelled out (יוד–ויו) it totals 42 with a value of 26 — that of the Tetragrammaton — stretched out (וד–וי) between each pair’s initial Yud (י) and final Vav (ו), and the value of 10 — the 10 sefirot of the Tree-of-Life and the 10 utterances that G-d used to create our universe —concentrically stretched out (ד–ו) between each subsequent pair’s bookend Yud (י) and Vav (ו). The letter Aleph (אלף) spelled out without the actual Aleph itself (לף), in kabbalistic terms, “the back of the spelled-out letter,” not only has the numerical value 110, but according to Abraham, the Patriarch, these two letters represent and control the first (1st) or Aleph of the Hebrew months, Tishrei (Libra). Moreover, these two letters (לפ) are found in the center of the 6th line of the 42-Letter Matrix (יג–לפ–זק), the line that corresponds to Joseph and his energy reservoir, the very same Joseph who lived 110 years. As mentioned above, the primordial Aleph (א) is comprised of the Upper and Lower 42-Letter Names that created our universe. The Upper 42-Letter Name is our source of life which gives us energy and always remains above. The lower 42-Letter Name became the first 42 Letters of the Torah, including the 3 unchanging letters of the wall (שור) and then through its 506 triplet replications, the 42 Letter matrix became the 42 rows of the Torah and then the entire Torah matrix. Initially, the Upper and Lower 42 Letter Names were in perfect alignment and they were again briefly in alignment when the 10 Commandments were given in 2448. The next opportunity for that alignment occurs in 5778. Rav Brandwein explained that when that alignment occurs the two 42-Letter Names become 84, spelling Pad (פד), REDEMPTION. This harmony above and below is what was instrumental in the creation of the world and what will be necessary for the creation of the-world-to-come for us. The numerical value of the letter Aleph (א) is 111, and after counting the 6 days of the Creation period as 6 years, which correspond to the 6 Alephs present in the 7 words of the Torah’s first verse, there were exactly 22 spans of 111 (Aleph) years from Creation to the Hebrew calendar date 2448, when the 10 Commandments were given. Then there are exactly 30 more spans of 111 (Aleph) years from 2448 to the Hebrew calendar date 5778 for a total of 52 spans. 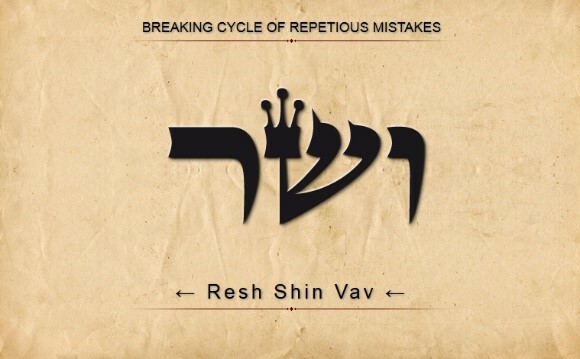 Like the solar year which begins with the energy of Aleph (אלפ) on Rosh Hashannah and ends 52 weeks later, the Moshiach countdown of 5778 years begins with the energy of Aleph (אלפ) and ends 52 cycles later at the level of Malchut. Given that the surface temperature of the Sun is 5778 o K, it is no surprising the cycles are intertwined. 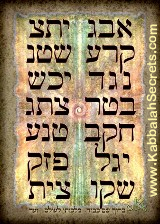 The Kabbalists associate Malchut with the number 52 because it is the value of the Tetragrammaton spelled out in the frequency of Malchut (יוד–הה–וו–הה). Malchut intrinsically has no light (life-force) of its own and relies wholly on the channels of the upper world for its existence and sustenance. We can envision it as a screen for the light to project upon. These Aleph cycles are far from random splits in the countdown. Like the mathematical constant Phi which splits everything, including the Torah into harmonic resonating proportions, the ratios given by these splits are divinely designed to channel the energy of the 42-Letter Names through our journey, much like the Israelites’ 42 journeys through the wilderness. The relationship between the number of cycles in the two time frames and that of the full period, 22/52 and 30/52, yield ratios respectively about as close as you can get to 42.4 and 57.7 whereby 424 is the numerical value of Moshiach Ben David, and 577 is evocative of the year 5778. The ratio of the two periods to each other, 22/30 = 0.73, which being the numerical value of the level of Chochma is at the opposite end of the spectrum from Malchut, and represents the Torah’s first verse whose value is equivalent to the sum of the integers through 73 and also represents the highest level of the Tetragrammaton (יוד–הי–ויו–הי). All 3 ratios together equal 173, which is the small gematria value of the lower 42-Letter Name that shaped and guides our world. The wall, Shur (שור) is the physical embodiment of the two Vavs (וו) in the center of the Aleph (א) that breaks down to (יווי). This is of utmost importance to us, for we are the ones who can scale the wall. When G-d gave the 3 isolated letters in Shur (שור) the 8th, 18th and 40th placements in His Torah, it was planned that they would total 66 and that the letter Vav (ו) would have the numerical value 6 so that 66 would be written as (וו), yet another redundant allusion to the wall being found at the center of the Aleph (א). By searching out heaven and the heavenly knowledge that can take us there, we are the descendants branching out from our world. We can reach out over the wall and draw down the wisdom and the light. From the top of the wall we can call out to attract the lost, and can also reach down to help others climb up. The wall was put there and hidden for a reason and so were the clues for us to find it and scale it. There are 50 Gates to reach Binah and the sum of the 4 aspects of the Tetragrammaton is 232. The product of the sum of the individual ordinal values of the 3 isolated letters in Shur (שור) times their individual placement values is 50,232. Nothing happens without G-d’s permission. Nothing happens without His Name on it. According the Zohar in Vayigash 102, the word “in Rama” (ברמה) means “on high” as well “the supernal world” and “the world to come.” It is also the word for our Patriarch Abraham (אברהם) without the Aleph (א). Abraham’s existence drew from the Primordial Aleph (א) and drew from the world On High, which is why he was the beacon of light that connected us to the One (Aleph) G-d, and shone forth in all 4 directions. He was not grounded (restrained) in any way. That would come later with his son Isaac. Yes, we are talking about Abraham the man, but more importantly, about the Right Column, the very energy source for our universe. Abraham with his unrestrained giving personified this Source. He was to be a blessing to all he came in contact with, and his progeny was to follow suit. In Hebrew usage the property of a Vav is that of vav hachibur, “the Vav of connection.” Kabbalists know it also as the connector between Spirit and matter (Heaven and Earth). At the end of days, it will also serve as connector to the energies from On High with which we can scale and bridge the walls of separation for all of Israel to return. The Zohar Vayigash 105 explains that at the end-of-days G-d will add back the Vav (ו) to reveal the wall (שור) and all the lost of Israel will return. “All lost in the land of Ashur (אשור),” which is the wall (שור) connected to the primordial Aleph (א). If the primordial Aleph (א) is the key to branching over the wall to the world to come and reuniting the Israelites with energy and enlightenment, and to receiving Moshiach, how do we connect to it? We may not have consciously realized it, but actually, we have inadvertently been practicing this 52 weeks a year for thousands of years. Now at “the end of days” it is time to ignite this weekly connection with the proper Kavanot (intentions) and meditations that will reach over the wall and connect to the 1000 lights. Once enough of us do it, the trail will have been blazed, lined with luminaires for all “the lost” of Israel to return. 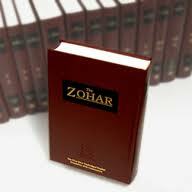 The Zohar tells us the 2 candles stand for the 2 letter Vavs (ו). The Yud (י) on top of the Vav (ו) is the lit flame on the candle, dancing separately, yet in concert. When we light the 2 Shabbat candles Friday evenings we are igniting the 2 Yuds (י) above the 2 Vavs (ו). The upper Yud (י) and Vav (ו) pair is the right candle connecting to Abraham and the lower Yud (י) and Vav (ו) pair is the left candle, connecting to the energy of Sarah, the Matriarch. We will get into their relationship and what it means to us today in the near future, but we need note though that it is based on love (א–הבה). The first step in the process is always to let go of any thoughts that you are in control and of any agendas and to ask G-d for divine guidance and his helping hand in the connections. The best way to do that is the way the Kabbalists have always done it—by doing the Ana B’koach, the simple recitation of the 42-Letter Name.. Besides the blessing and whatever meditations we and our loved ones are doing upon lighting the Shabbat candles, we need to connect the lighting of the candles to the components of the primordial Aleph (א). The upper Yud (י) and then the upper Vav (ו) for the right candle draw the light from the world On High to Abraham (א–ברמה), our channel, as we make ourselves channels for that Right Column energy. See the light descend from the Upper 42-Letter Name and be one with the Right Candle. Do not pronounce this Name. We then join the right candle, column, letters, and associated Name of 42 with the left candle (flame and stick), with the Aleph’s (א) lower Yud (י) and lower Vav (ו), drawing the light to Sarah (שרה) and into the Lower 42-Letter Name which you can picture and even recite to yourself or out loud. By visually uniting the two candles, while releasing unconditional love into the world, we join together with Abraham and Sarah, and the two Yud (י) – Vav (ו) pairs back into the Aleph (א), which we then reunite with the 3 isolated letters of the Torah and Asshur (א–שור) to bring all of Israel back to the land of Israel. It is very important to consciously release unconditional love into the world. We must concentrate on the love we have for our closest loved ones and consciously envision it spreading outward to encase the world. If not us, who? If not now, when? With that love blazing in our hearts, we should then meditate on the light shining from and through the Upper and then the Lower 42-Letter Names and then back upward again (returning light), along with our heartfelt desires to draw that light into our personal world and the greater world beyond us. This way we make ourselves beacons to guide all those waiting to be gathered and awakened. At this point we are already over the wall, no longer followers or wanderers. It is our turn to be as our forefathers and lead the tribes. Please note, we do not try to pronounce the Upper Name (any upper Name), but we should recite the Lower 42-Letter Name (Ana B’koach) out loud, even if it is in the transliterated version. As we do, we not only want to picture the light spreading through our world but through time, extending from each Erev (evening) Shabbat until the end-of-days to bring Moshiach consciousness into the world and Moshiach in His moment. Our souls are the descendants of Joseph. We are the ones who are scaling the wall, the wall of separation between us, between ignorance and the prophesied knowledge, between exile and redemption. A wall cannot be scaled passively, and no one can climb it for another. We can assist each other, but we must personally and actively make these meditations. The Ana B’koach (42-Letter Name) was given as our 7-rung ladder, but we still have to climb it individually. The Alef (א) is the difference between exile (גולה) and the redemption (גאולה).By adding the Alef (א) to Geulah (exile) we get Geula (גאולה), the redemption, which is spelled (ג–אולה) and since the letter Gimmel (ג) is 3 and (אולה) has a value of 42, the format of the word for the final redemption is 3:42. This is indeed our 3rd and final chance for redemption, after the Creation and the giving of the 10 Commandments at Mt. Sinai. What is this like? The first words of the 2nd Book of the Torah, Shemot, which has been translated oddly as Exodus, or exile, is V’eleh Shemot (ואלה–שמות), actually meaning “These are the Names.” The first word, V’eleh (ואלה) is the same as (אולה) in the word Geula (גאולה) and as such has the numerical value 42, thus the concealed meaning of the initial words of the 2nd Book, V’eleh Shemot (ואלה–שמות) is 42 Names or the two 42 Letter Names. We can see the foreshadowing in these words, not only of the Exodus (Exile) and the subsequent 42 journeys the Israelites would undertake, but also the 2nd Geula that would come about within those journeys. We have shown above that this is at 42% of the way to the final Geula that will come about through our understanding of the 42-Letter Names. The words V’eleh Shemot (ואלה–שמות) are actually repeated again in Shemot 6:16, with the value 616 being that of “HaTorah.” In this second case the words “these are the names” refers to the names of Levites including that of Moses and Aaron and because it repeats several of the names, the total number of names mentioned is 42. Also mentioned in this name list are three (3) time spans, 137 and 133 and 137 years respectively, which total 407, as in the Word V’et, the 6th word in the Torah that linked Heaven and Earth and whose square root is 20.17424 or 424 (Moshiach Ben David) in 2017 (5777-8). 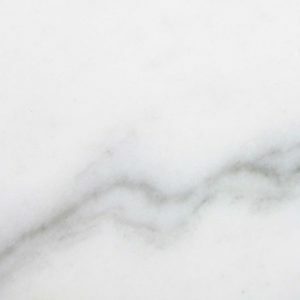 We can utilize everything we learn to strengthen our resolve, to climb over the marble wall, to harness the Alef (א), fulfil the prophecy, and bring ourselves into Moshiach consciousness and Moshiach into the world. One of the oldest kabbalistic sayings is “When the student is ready, the teacher will come.” Join us as we branch over the wall and cross over the firmament. Help us to inject the Aleph (א) into the exile. The time of perfect alignment is almost upon on. Jacob is calling out to our souls, to the descendants of Joseph, pleading with us to do our part. The wall is a boundary that can only hold us back if we let it. If we listen not with our ears but with our hearts, think not with our minds but with our spirit, we will hear their voices, hearken to their wisdom and unite ourselves with each other and with Joseph, Jacob, Abraham and Sarah, we will branch over the wall to be “one” with the One, the Aleph (א). Honestly this has been my most favorite article so far. Truly amazing, deep, revelations are being expressed here. May Hashem allow you to,please continue to spread this knowledge. Thank you. Grateful for such a nice and meaningful article! Thank you so much for these wonderful and encouraging words. This article was an answer to a prayer….as I read it I wept.Such wisdom,such truths are like seeing footprints in the sand of life which we can follow to help us stay on the narrow and straight paths…of Torah. Thank you. As I was reading the thought came as in VaYechi in 49:(22).”A Charming son is (Joseph),a charming son to the (eye);each of the (daughters) climbed the (wall) to gaze.”After (22) years Joseph was revealed.Is there any connecting dots…to your teaching? Thank you so much. Everything is connected. I’ll reflect on it and get back to you. Can´t we read Aleph as 61-16 => 6116? 79 = Gold minus 61 Promethiuem and minus 43 Technetium. G-d’s building blocks. It is fascinating to live in such a beautiful world and to be able to experience and be a part all of its wonders (just to be alive).The search for G-d is a most exciting endeavor, journey, that can clearly open our eyes and our hearts to a truly magnificent G-d. I have studied El Elyon the most Supreme and Absolute Most Powerful Extreme Divine G-d. I have come to find that I am loved by a good good Father G-d. Who loves me with the most exponentially extreme Ahabah Love (abba G-d love). In trying to understand Sefirot I have come to see G-d’s ultimate power and purpose to draw everything back to Him. The secular world is busy creating their own franchises, mainly by borrowing, sometimes occupying, or kinder. . . building on someone else’s sweat and tears, another’s genus. I have looked for some attempts to visulize the unification of the SefirotTiferet and Shekhinah and to my understanding IS the final event which all existence is overwhelmed by G-d’s love and are reabsorbed into the Divine HEART and SOUL. . . THE NATURAL OCCURANCE OF ALL THINGS THAT HAPPENS NATURALLY SEEN BY THE MIND OF CURRENT SCIENCE- SEEN IN EXAMPLES LIKE THE NEW CONCEPT OF BLACK HOLES (that a black hole is not empty and void, it is not nothingness, but in fact is the ultimate of energy and the beginning of every nova). SEE THIS VIDEO https://www.youtube.com/watch?v=lEV5AFFcZ-s especially about the “self organization of everything”. . .seen about 10:42 time. The sells pitch is obvious but the visual effects are great and also the dissemination of knowledge by extraterrestrials can be left to you! If praying to G-d worked we would all have learnt to do it a long time a go and we would all now be living in paradise on earth. The truth is that outside of this Dream world all there is to be found is nothingness/emptyness and that is G-d and so no amount of praying or repenting or lighting candles etc will work in the slightest as no thing is listening or watching. Very very few alive currently know how to and are able to regulary commune with the divine but as we pass 2018 and on this is going to change massively as an awakened master appears and we enter this long promised new age of spiritual awakening and planetary healing. What appears as nothingness to us is actually quite full. Just because someone is blind dies not mean there is nothing within the darkness. What we lack is vision, for our eyes to be opened. B’H soon. 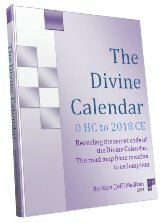 The lower(and virtually insignificant) religion that has dominated for so very long (that has partly kept the masses from knowing the divine knowledge of past avatars and how they could quite literally commune with G-d) will soon be replaced by a far higher and true religion that dominated thousands of years ago in lands of the Avatars of old and so bring to the NOW age again what they knew and were able to do in matters of spirit that so very very few alive today currently have any knowledge of. The ancient masters like Krishna Jesus Moses and Buddha etc would have had direct communion with G-d and would have felt absolutely no need whatsoever to try and commune with G-d with nonsense like prayer and mandalas and candles etc unlike the more recent ‘blind and completely in the dark followers of lower religion’ who are about to be awakened from their deep slumber to the Divine as higher religion makes a return again finally. Revelations such as why the Bible Prophet Jacobs ‘ladder dream’ that clearly mirrors the DNA double helix and that it was a message to the master from G-d that DNA regeneration/The cure for the disease of ageing was a subliminal message will become common knowledge as we move ahead. If you believe you can successfully pray and be heard by G-d by the various methods used in lower religion then you may as well believe that you can telephone yourself at home and be heard. Wish to rebuild the temple on the right spot. Did my father not round off everything perfectly? Does He not round it off in 52 weeks? And a circle in 360 degrees? The presented kabbalistic tree you have been looking at is correct merely resambles it. That gives life. And the tree that giveth knowledge are mathematically and geometrically correct too. Without it the teacher could not teach, be blind to so many things. Unless of course he wishes to remain in between my father and you. Next Next post: Ebola; Worse than You think, but We Can Do Something About it.